David McClain is an Army Ranger who's about to ship out to Afghanistan. He's a nice guy who would love to find a woman to keep in touch with while he's overseas. Then he meets Lindsey and the chemistry between them is instantaneous. They spend an entire night together, sitting on a bench at the beach, talking. But then David heads to Afghanistan, and although they communicate often while he's away, David returns a changed man. Gooseberry Island by Steven Manchester is a contemporary romance novel that explores the effects of war on relationships, and the trauma that many soldiers face with post-traumatic stress disorder (PTSD). We get to see the war from David's perspective, from wanting to get into the action, to experiencing the horrors of war up close and personal. As the war changes David, his interactions with Lindsey change as well. The characters seem realistic throughout the entire novel, although the romance itself is a bit sappy at times. Those who love romance novels will enjoy that! I liked the fact that David was a cross between a macho man who volunteered for the toughest military duty and an emotional, gentle man around the woman he loves. Lindsey is also a complex character who has a great responsibility dealing with her father, who suffers from PTSD as well. Overall, Gooseberry Island is a realistic story about war and PTSD, wrapped up in a sweet, honest romance. If you enjoy contemporary romance, I highly recommend this one. 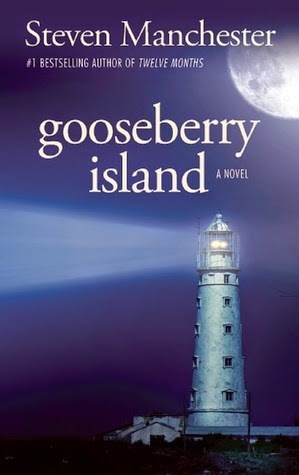 This review was written based on a copy of Gooseberry Island that I received from the author in exchange for an honest review.